Wish You Could Wear Sandals All Year Long? Many people do. They enjoy the feeling of freedom. They also know that the ideally fit, functional enclosed shoe that can also prevent problems and painis difficult to find. Those inhibited by this seasonal transition typically are people who suffer with things such as swelling or edema, neuropathy, protruding bunions or hammertoes, and other foot conditions. For example, edema can be a problem with fit and securing the shoe without cutting into the skin, especially if one foot has more swelling than the other. Those with neuropathy may find the enclosed material contacting the skin stimulates the sensitivity of burning, pins and needles, etc. They especially need to pay attention to the seams inside the shoes as they can rub and cause sores. With neuropathy you may not feel the sore until you remove your shoe at the end of the day and suddenly you have a more serious open sore or ulcer. With protruding bones such as bunions or hammertoes, one has to pay attention to shape and stiffness of the material, usually something with softer leather or stretch helps. With enclosed shoes you even need to be aware of the increased risk of fungal infections. Fungus likes the dark, warm environment an enclosed shoe provides. Infections can be a fungus like athlete’s feet, candida infections or fungus nails. 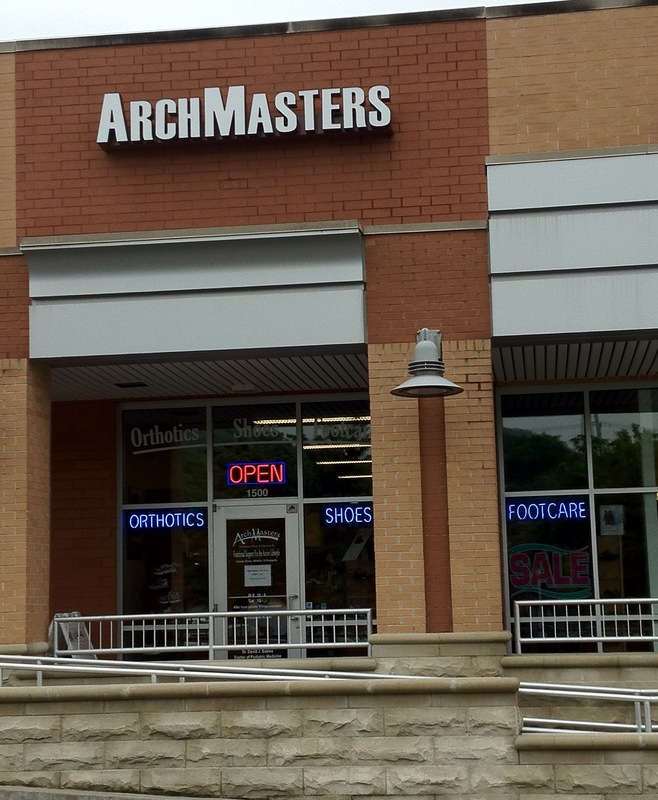 If you suffer from any of these or any of the many other conditions that can be problematic with enclosed shoe wear, then stop into ArchMasters-Orthotics, Shoes & Footcare, LLC and your worries will be resolved. Count on evaluation, diagnosis, treatment options, fit and more from our medically trained expert and caring staff. 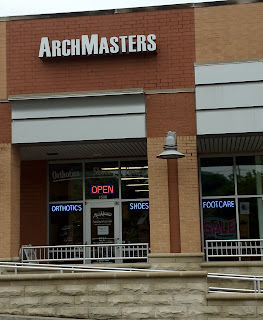 ArchMasters, Nashville’s ONLY Shoe Store with a Doc in every shoebox!